The Save CR Salvage Sale will be 10 a.m. to 4 p.m. Saturday, Sept. 29 and noon to 4 p.m. Sunday, Sept. 30, 2018, outdoors, across the street from Little House Artifacts, 1301 Third St. SE, in New Bohemia in Cedar Rapids, Iowa. 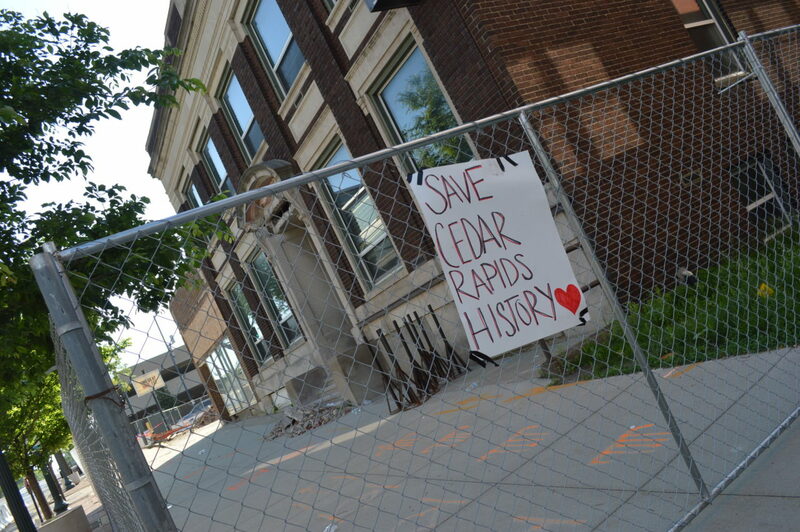 Residents of Cedar Rapids attending an upcoming benefit for Save CR Heritage will be asked to put an end to the demolition of the city’s historic buildings. A petition at the Save CR Salvage Sale on Sept. 29 and 30 will ask the Cedar Rapids City Council to no longer provide financial incentives for projects in which historic buildings are demolished. Just this summer, more than a dozen buildings have been or will be demolished on First Avenue alone, with several of those, such as the 1923-built Bever Building, formerly at 417 First Ave. SE, and 1916 John Ely house, set to be demolished at 2218 First Ave. NE, holding distinct historical and architectural integrity. Both buildings also are tied to pioneer families of Cedar Rapids. An 1890s building recently demolished at 1408 First Ave. NE, had ties to renowned artist Grant Wood and was on the Mound View Neighborhood Grant Wood walking tour. Save CR Heritage has highlighted numerous historic sites during recent tours, including the Paramount Theatre in downtown Cedar Rapids, White Elephant building in New Bohemia and the Mott Lofts in Kingston Village, to demonstrate the economic and cultural value of saving historic buildings. Yet, the city still provides millions of dollars in the form of tax increment financing as “standard” project benefits to new developments. Board members and volunteers of Save CR Heritage advocate for repurposing historic buildings in place. When that is impossible, members try to connect people who might be able to move historic buildings. The city’s Historic Preservation Commission only has the power to place a 60-day hold once a demolition request is made. In most cases, that gives insufficient time to move a structure out of harm’s way and after 60 days, sometimes less, if the commission lifts the holds, the buildings are torn down. During the past year, Save CR Heritage volunteers have been doing what they can to save pieces of these buildings, before the structures are demolished and taken to the landfill. 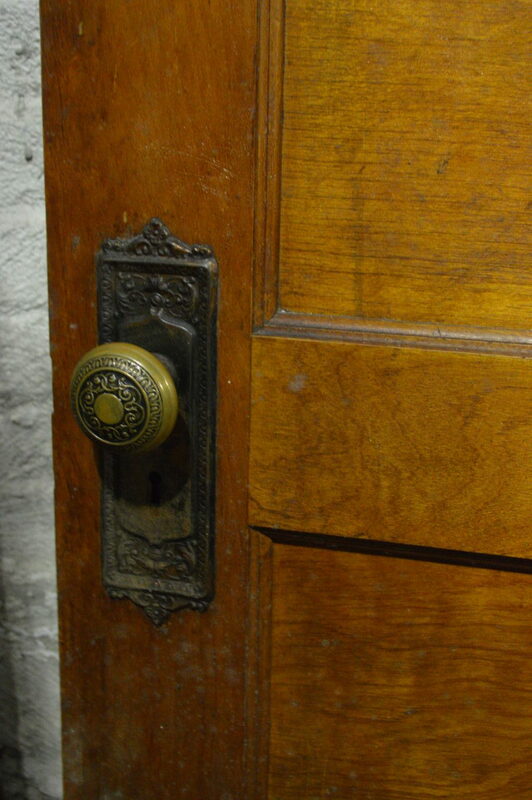 With permission of the building owners, volunteer crews have salvaged vintage doors and windows, antique doorknobs and other hardware, sinks, hardwood flooring and other items no longer used in modern buildings. 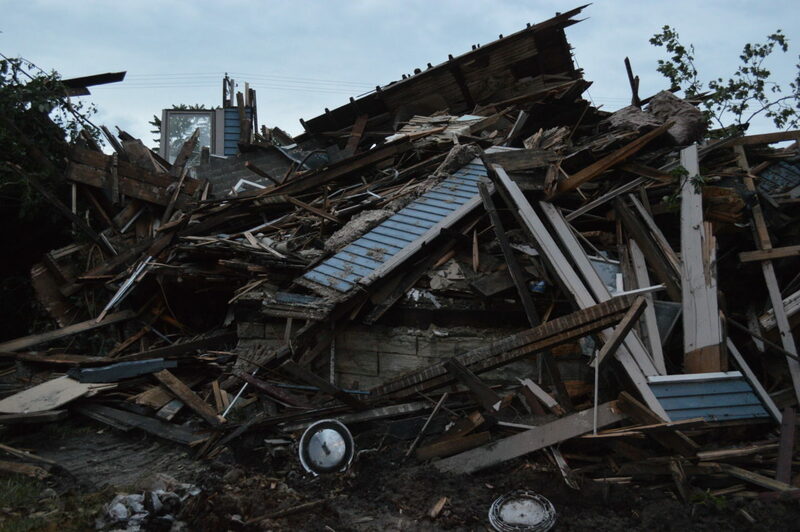 Under the guidance of Friends of Historic Preservation, architectural salvage is sold at the group’s Salvage Barn in Iowa City, but the accelerated pace of demolitions in Cedar Rapids has filled the site to capacity and led to the decision to hold the two-day salvage sale. The sale is an opportunity to match these unique items with homeowners and others who can reuse and treasure them. Photos and information about the homes where the items were salvaged and a brick home that faces demolition if it’s not moved will be at the salvage sale, along with the petition. Find photos and more information about the Sept. 29-30 salvage sale on the Save CR Heritage Facebook page. 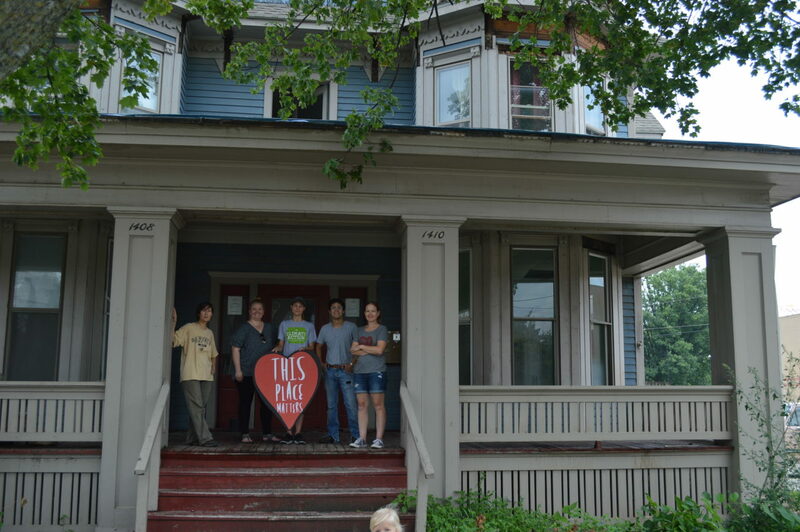 Members and volunteers of Save CR Heritage are shown during a salvage day at 1408 First Ave. NE, before the building was demolished.